Nov 11, 2014 • [Source: NASA Science Visualization Studio] Established in 2004, Tesso Nilo National Park in Sumatra encompasses an area of rich plant diversity and provides habitat for Sumatran elephants and tigers. 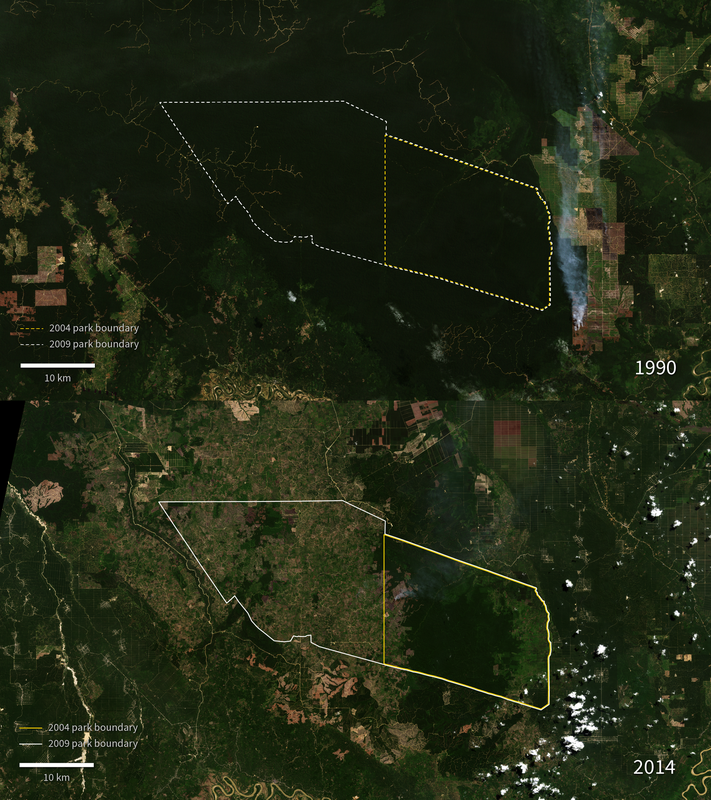 A new series of Landsat images begins in 1990, where it shows the relatively undisturbed natural forest in the area that would become the national park. In following years. 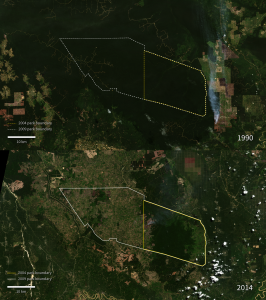 Landsat imagery shows a loss of natural forest in the park area and surrounding forest logging concessions. The logged areas initially appear brown or red, but take on a green color as the palm plantations which replace the original forest mature. Though the replanted areas appear similar to the natural forest in Landsat imagery, they no longer support the original diversity of animal species.